Dustbuster Janitorial is a Nisku, Alberta family owned janitorial service based business. Dustbuster handles large scale offices within the Nisku area, primarily in the oil industry. 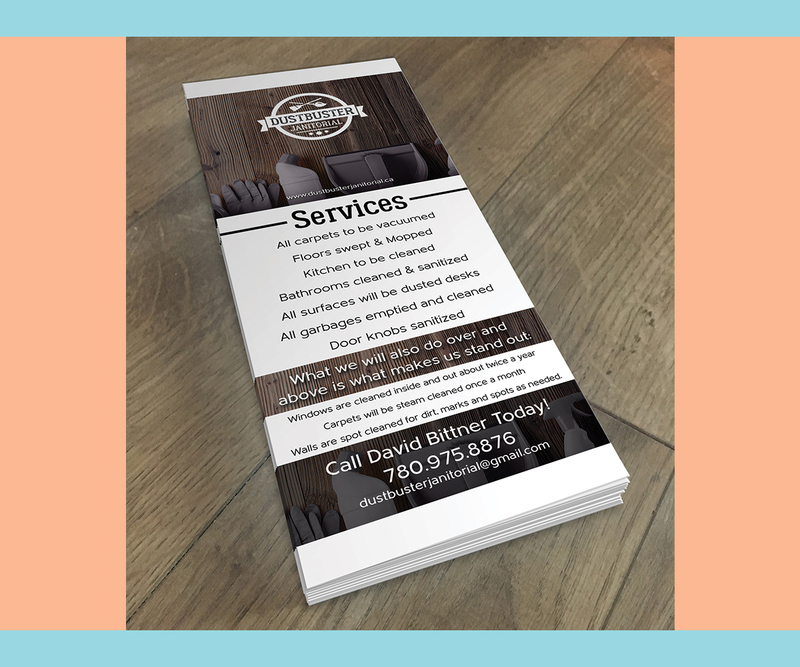 David approached me to help him out with giving his business a very clean and simple look that would attract the potential clients he was looking to obtain. 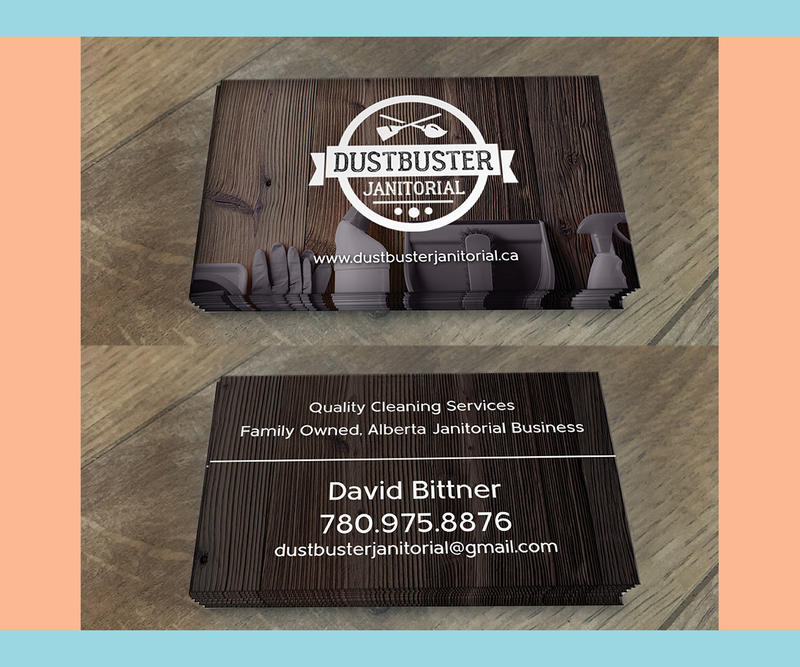 After creating the website and marketing materials, Dustbuster Janitorial obtained two large contracts for businesses in Nisku and continues to spark interest in his business! 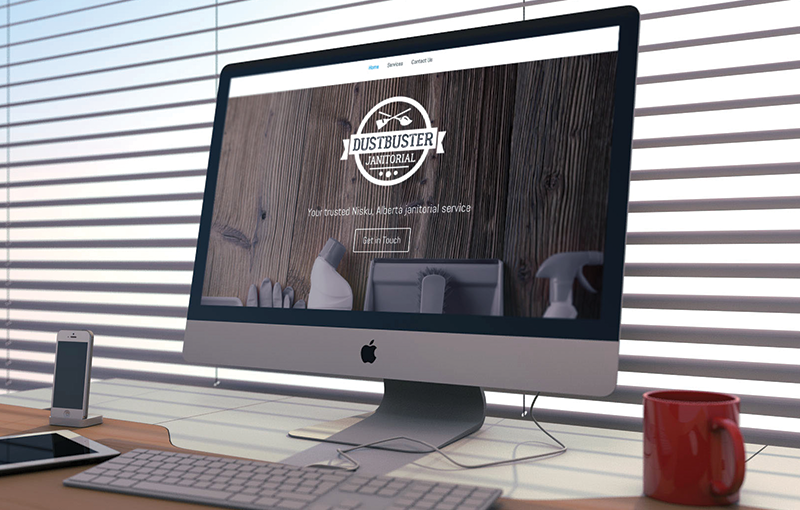 If you are in the Nisku area and looking for a Office Janitor, check out Dustbuster for your cleaning needs! They are even adding new and exciting add-ons. When I went to Stephanie, I did not have any branding. Just a simple business card. I was struggling to find more businesses looking for janitorial services. She took an idea and what i would like and applied it to our business. After a few months of using her services I received several inquires and signed two major contracts!